Here is the stack of fabrics that I have pulled together for today's sewing project. 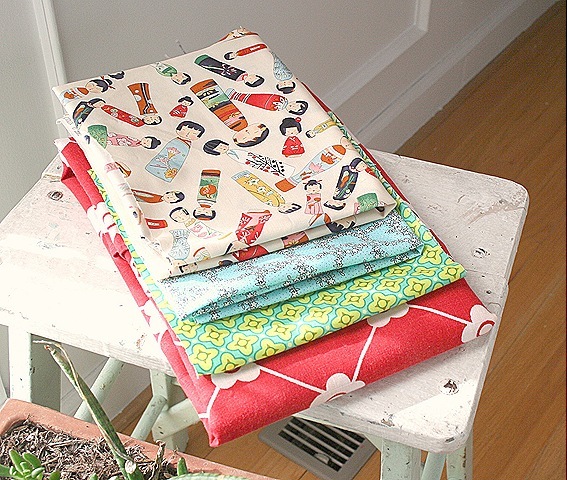 The Kokeshi doll fabric on the top is the inspiration here. That doll fabric is sweet! I can’t wait to see what you make.